What does a belay device do? The point of a belay device is to help you, the belayer, manage the rope for the climber while they climb, help you catch the fall, and to lower your climber down once they’ve finished. Belay devices can also be used to rappel (or abseil) down to the base of the cliff you are climbing which is sometimes necessary. 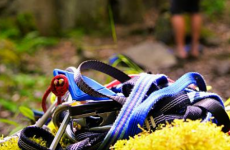 Some belay devices offer more safety features, and others require less work to use them. In all cases, you should never let go of the rope with your brake hand while belaying. It is important to learn and practice this technique until it’s completely natural and habit, no matter what type of climbing belay equipment you use. Which belay device should I use? The available belay devices all range from inexpensive (around $15) to pricey ($150 and up) and offer different things in terms of ease of use, assistance with braking, and additional safety features. Figure 8s, ATCs, Passive Assisted Braking Devices, and Active Braking Devices. 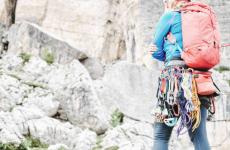 Take a look at some of our favorite belay devices and we hope you’ll learn more about belay gear and figure out which one is best for you. The Figure 8 is the simplest and lightest belay devices you can use. 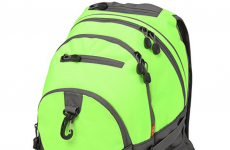 It allows for smooth rope action while you are belaying. There are no moving pieces, they are extremely lightweight, and they are generally the most affordable of the belay devices. Figure 8s are more popular for rappelling than they are for belaying, due to the ease of increasing the speed that the rope moves by simply moving your arm. 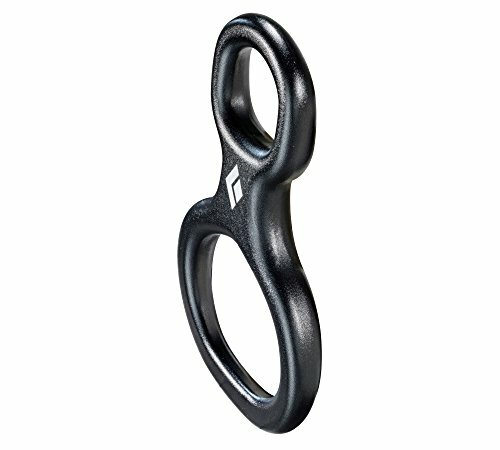 The ATC is a belay tubular device created by Black Diamond. It has no moving parts, but some people find it easier to control than a simple figure 8 device due to its angle and the greater distance that the loop allows it to sit from your harness without other special extending gear. ATCs provide a bit more control over positioning of the rope than a figure 8, but it is also a little bit more restriction. ATC devices usually cost a little bit more than a figure 8 device, but they are still very affordable. The ATC initials stand for Air Traffic Controller, and it was named to help you land on the ground. ATC is now sometimes used by climbers as a generic term to refer to any similarly designed “tuber” belay device such as the Petzl Verso and the DMM Bug. The next step up from ATC type devices are assisted braking devices known as passive braking. 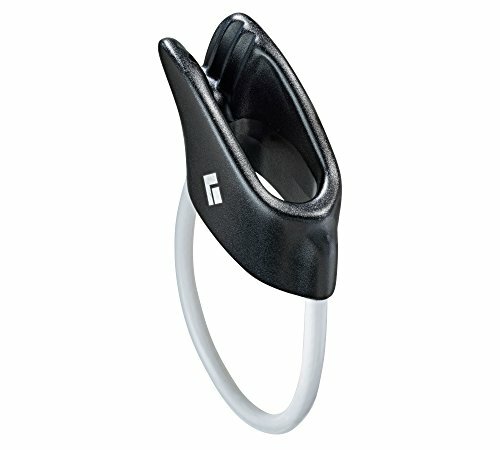 They provide assistance beyond just holding the rope with your arm, where the rope is pinched between the device and the carabiner. These devices require less strength than having to support all the braking weight with just your body. 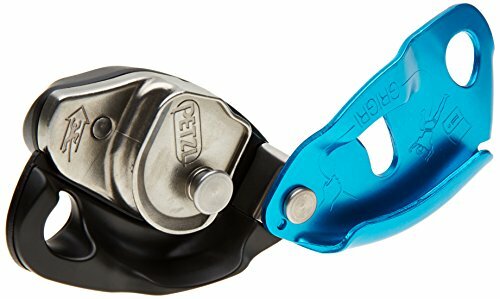 The original Petzl Grigri was released in 1991 and it revolutionized the art of belaying for rock climbing. 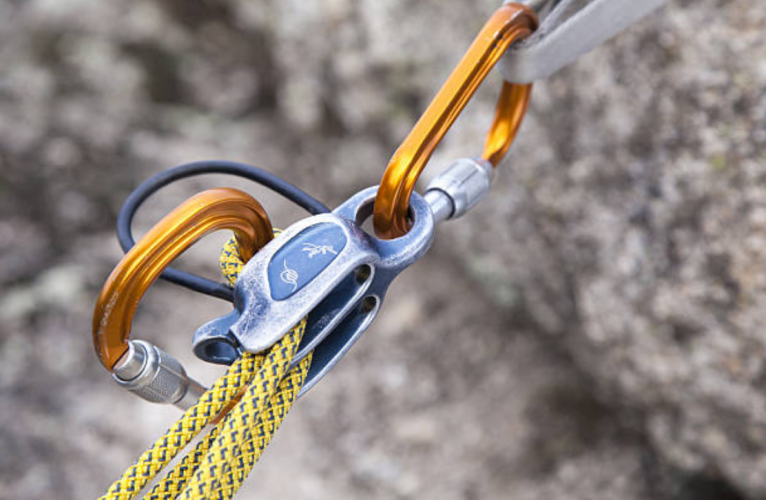 Devices like the Grigri are referred to as “Assisted Braking Devices”, meaning that the device will assist you in locking the rope when your climber takes a fall. Before assisted braking devices, the free end of the rope was held down only by the belayer’s brake hand. Although you should never take your brake hand off the rope, the assistance in catching the rope adds safety and makes it easier to deal with catches. There is a bit more learning to do than simpler devices, and it may take longer to get used to feeding the rope out fast for lead climbing. Devices like the Grigri are all a lot heavier and bigger than tube devices or figure 8s. The added engineering in safety and assistance in braking and moving parts make this type of device the most expensive belay device, but it is the one that you will find in most climbing gyms. The Grigri is are arguably the safest belay device for beginners. 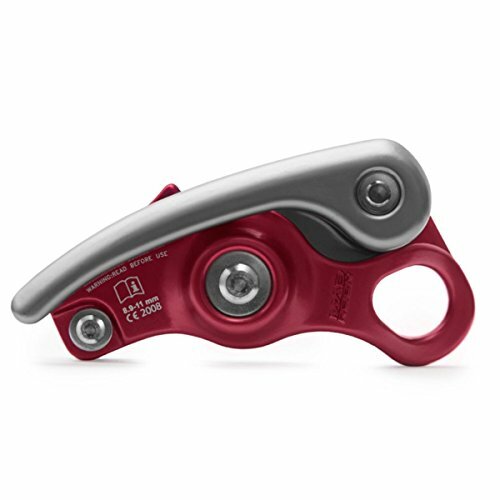 While the Petzl Grigri was the first and is arguable the most common of the active assisted braking devices, there are a few other models that are becoming more popular due to their great design. We hope this gives you an idea of all the different types of belay devices that are available. It is always good to try as many as you can, and you will soon discover which ones you prefer, as well as find that you like different ones for different purposes. No matter which belay device you use, it is important to get proper training, and to practice and always use good belay safety techniques. Happy belaying!